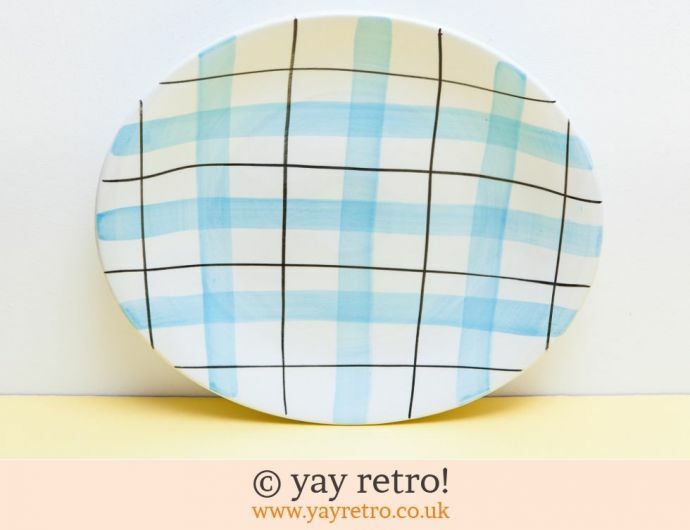 1950s Check China from Empire, Alfred Meakin & Washington Potteries - Buy yay retro Handmade Crochet online - Arts & Crafts Shop, crochet shawls, wraps, blankets, hot water bottle covers and vintage textile cushions. 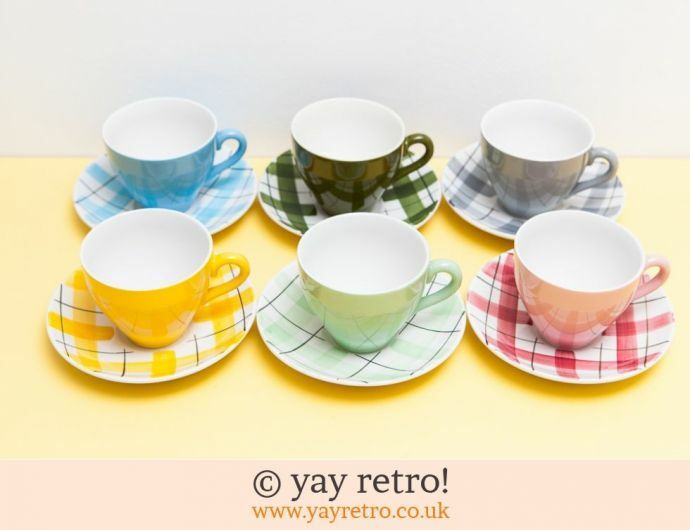 - yay retro! 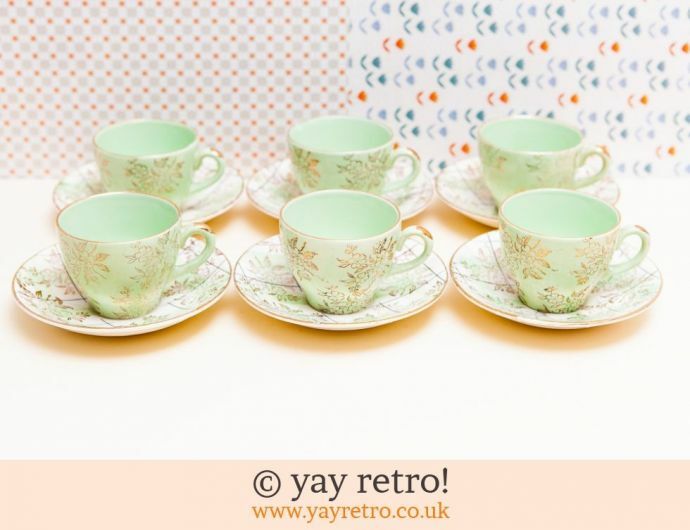 In the 1950s Alfred Meakin, Empire and Washington Potteries made check china tea sets and tableware. 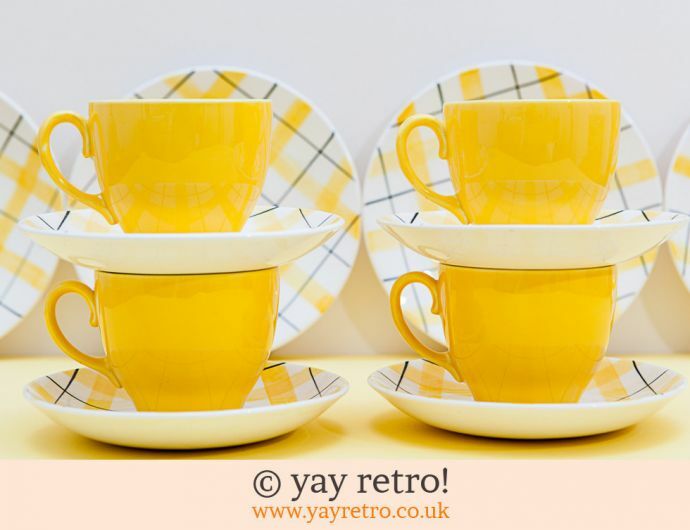 The pattern is often known as Harlequinade, and most often appears in multi coloured sets of cups, saucers, tea & dinner plates, dishes and serving bowls. 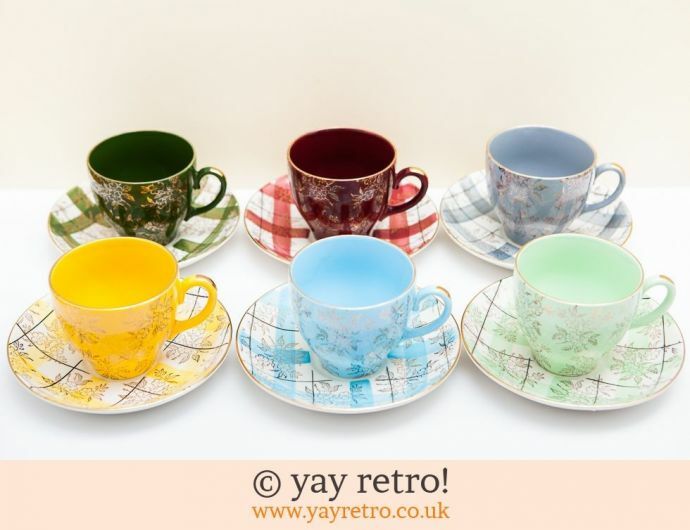 With pastel to deeply coloured glazes in yellow, blue, green, pink and greys. 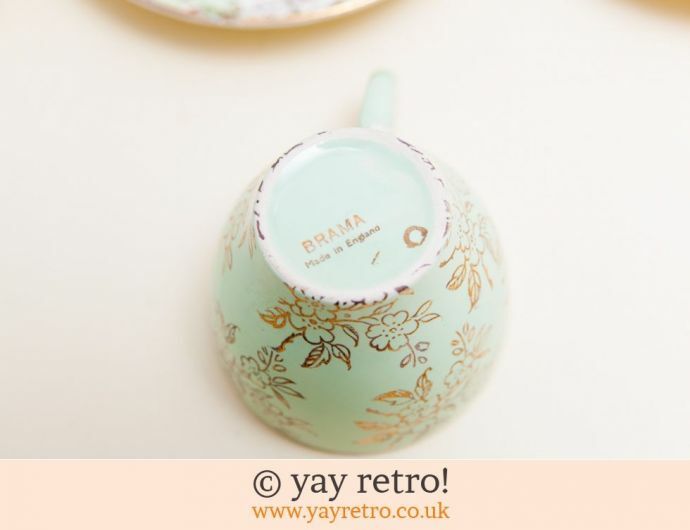 As seen with this teaset from Washington Potteries. 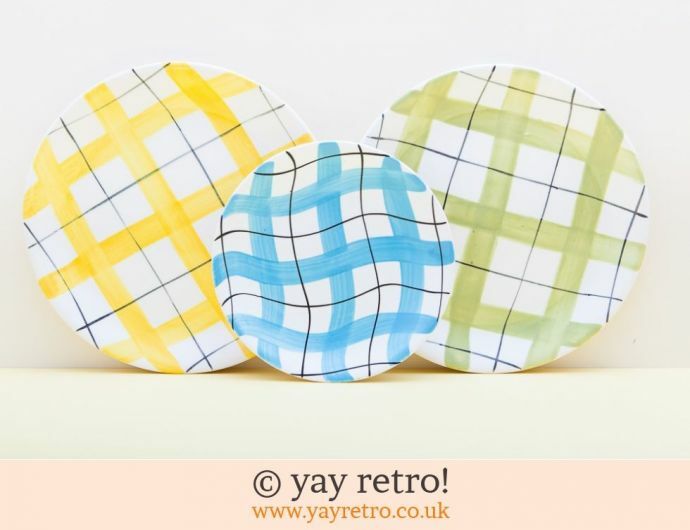 The design seems to have been named after the Harlequin pantomime character who wears a multi coloured diamond patterned costume, the Harlequin's role is full of fun and frivolity. 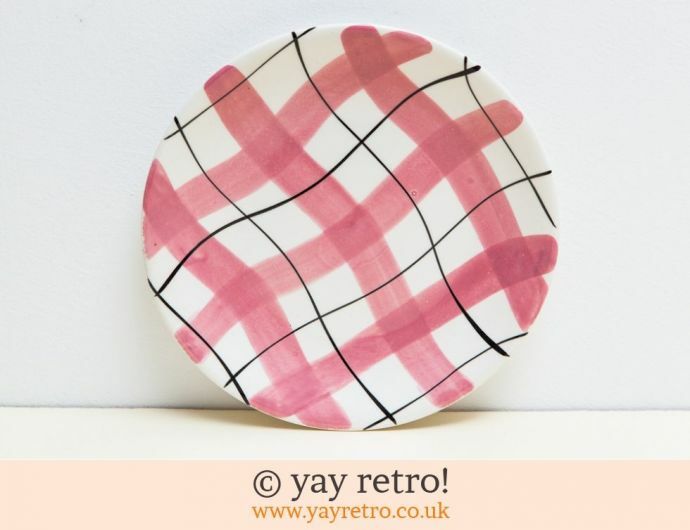 We think the design of harlequinade tableware was aiming to be thoroughly light hearted, particularly as it was produced after the austere war years. The government's war time utility scheme had severely restricted the manufacture of homewares to being merely functional and practical for the UK market, in order to save on precious raw materials. above... an Empire Serving bowl and dessert dishes. When starting out on a Harlequinade collection it can be difficult to differentiate between all of the makers' patterns, indeed many a collector is happy to have both sitting side by side. Below we see 2 large Alfred Meakin dinner plates, with an Empire Pottery tea plate. 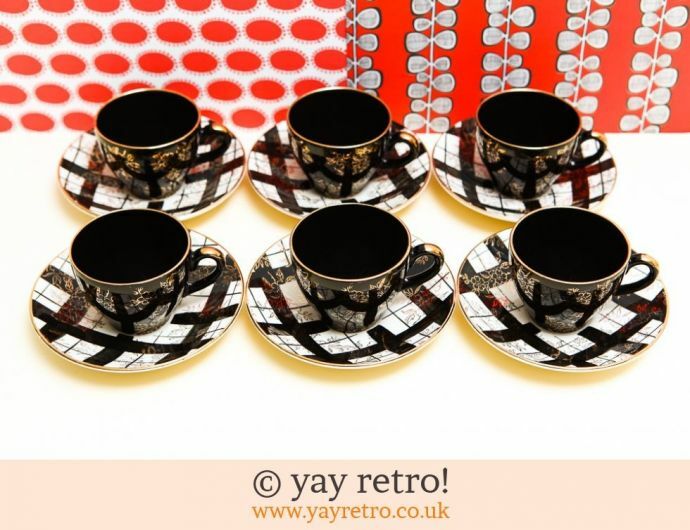 As you will see the Meakin is very, very similar to the Washington Pottery check pattern with straight black lines. Whereas Empire made theirs with wavy lines as seen on the tea plate in the front. Below... a wavy lined tea plate from Empire. 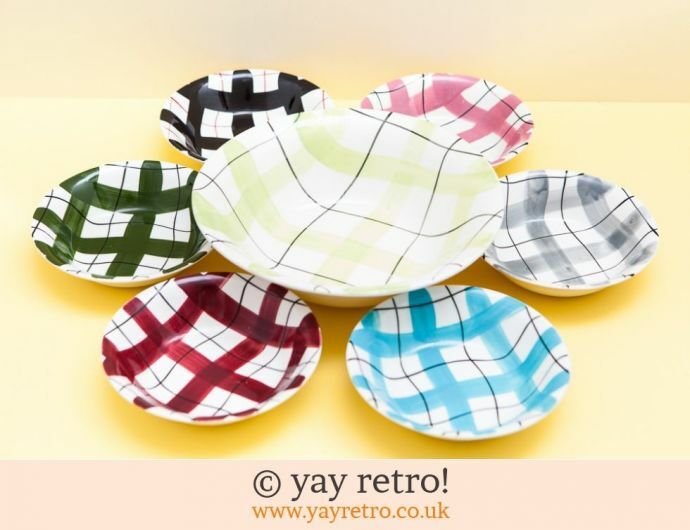 Contrast this with the set all in black and you get a feel for the diversity of the 1950 check patterned tablewares!